Increase employee satisfaction and retention with continuous feedback. 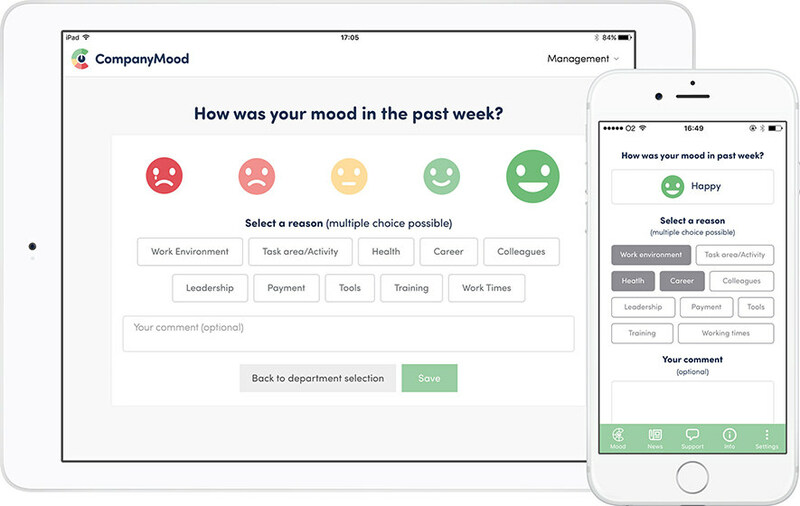 Continuous mood reviews and feedback in less than 30 seconds per employee via browser, our apps or a stationary terminal. You get access to advanced analytics and a clear visualisation of the work climate. Real-time data helps your company making the right decision to improve employee satisfaction at the right time - continuously. Employees who can address their feedback, feel more comfortable, are more engaged and are more unlike to leave their employer. 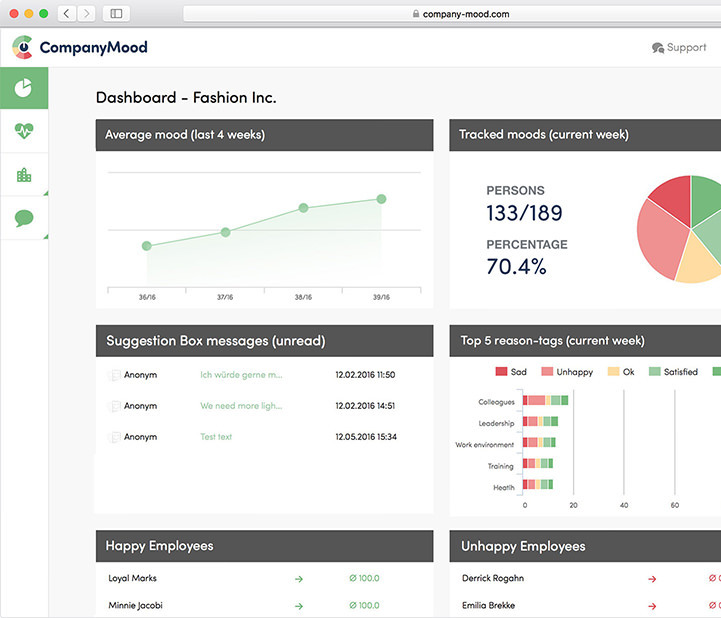 Company Mood offers a structured analysis of the gathered data which empowers your company to understand strenghts, weaknesses and relevant topics. CompanyMood helps us detect and solve upcoming tensions, especially for our field service teams. 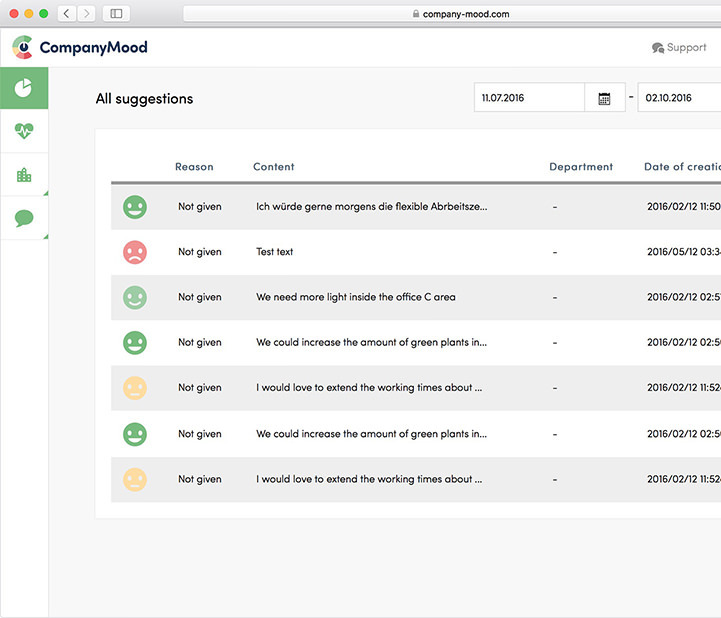 With the help of CompanyMood we can offer a feedback channel to our colleagues, which is well accepted as it works very simple and intuitive. This said, we can continously improve our feedback culture and employee satisfaction. 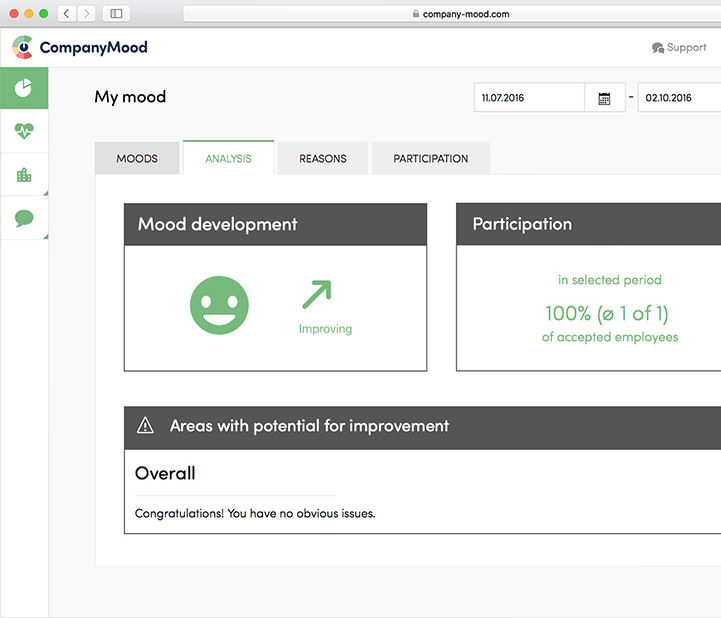 Thanks to CompanyMood, I have the relevant figures to prove that my work as a Feel Good Manager leads to improvements in employee satisfaction and corporate profits. The tool is intuitive to use, I love the smiley system, my clients and their teams, too. The support by CompanyMood is first class, thank you. CompanyMood supports us optimally in improving employee satisfaction. Especially when working with distributed teams and remote work, we can not wish for a better feedback channel. 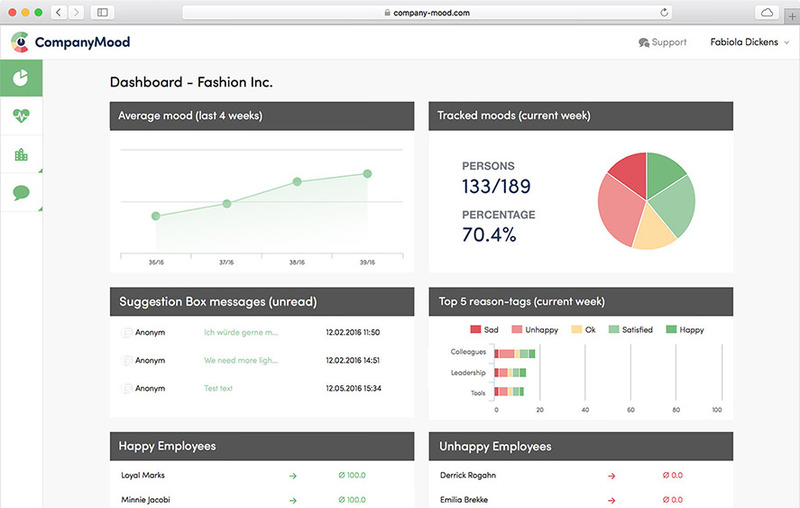 Great tool to continuously ascertain and establish employee satisfaction. I can and must recommend it to any entrepreneur. Start increasing employee satisfaction and employee retention today by open up a new feedback channel for your team.